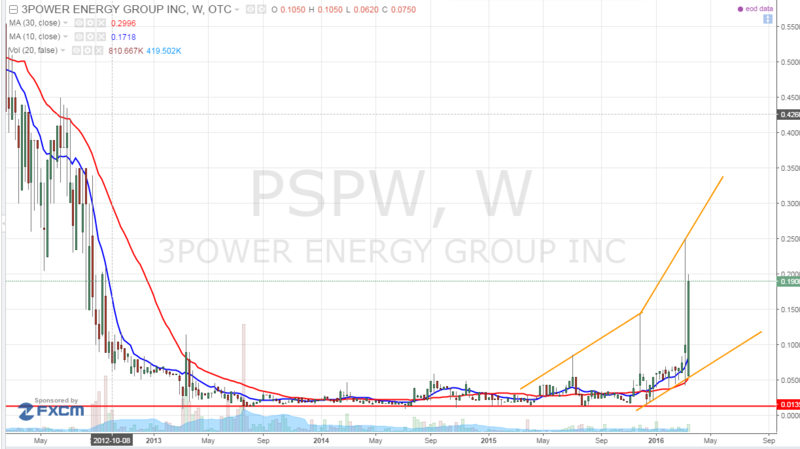 3Power Energy Group Inc (OTCMKTS:PSPW) stock has gone through the stratosphere, rising almost 550% since the beginning of the year and is not showing signs of slowing down. PSPW is poised to surpass its prior 52-week high of $0.25 and could potentially double or triple from these levels again. PSPW is all about green energy, and with the world investing billions upon billions of dollars in solar, hydro and wind power over the coming decade, a Dubai-based company called Falak Holding Group appears to be using 3Power Energy as a holdings company in order to explore, invest in and profit from multiple sources of clean, green energy. While news has certainly been scarce, it is clear that the Falak Holdings Group and related entities, who own over 115 million shares (a majority) of the company have something big planned for 3Power Energy Group Inc (OTCMKTS:PSPW). 3Power Energy Group Inc (OTCMKTS:PSPW)is a development-stage company. The core strategy and focus is to sell electricity generated by solar, wind, hydro, biomass and other renewable energy resources. In addition its focus is to develop, build and operate power plants based on these technologies. The core approach of PSPW planned business is to deliver energy in markets where there is an inherent energy gap between supply and demand or where there exists 1 term, stable, government-backed financial support for the development of renewable energy. It plans to develop power plants and sell electricity in mature and emerging international energy markets at secure rates with the high margins for return on investment. PSPW operates one project, a hydro-electrical project with a total installed power of 127.6 megawatts Shala River in Albania. PSPW is headquartered in Dubai according to Google. It has two employees, a CEO and Chief Engineering Officer. The stock has essentially been trading flat since 2013 and stuck in a trading range. It attempted to break out last July but failed and hit its support level where it has bottomed and bounced several times before. As of late last year, PSPW has been making a series of higher highs and higher lows, which is very bullish development. The stock has powered above its 10 and 30 weekly moving averages which is another bullish indicator for longer-term investors and shows this stock may be poised for significant gains from current levels. Always look for a low risk entry and do not chase the stock. 3Power Energy Group Inc (OTCMKTS:PSPW) has no revenues to speak of. Its balance sheet is in a poor state with no cash and over $6 million in liabilities. There have been very few announcements, developments, or communication from senior management staff. Stay alert as more announcements or partnerships may be announced soon given the stocks rise from the ashes. PSPW is currently trading at a $47.49million market valuation. This company has essentially been dormant over the last few years and its share price is showing signs of life. PSPW has almost no assets and significant liabilities. It’s hard to see this company trading at such high valuation with little to show. However, it is exciting news regarding the majority stakeholder and the booming industry given climate change protocols. We will be updating on PSPW when more details emerge so make sure you are subscribed to Microcapspot so you know what’s going on with PSPW. Disclosure: we hold no position in PSPW either long or short at the publication of this article and we have not been compensated for this article.